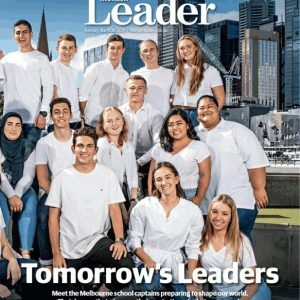 The Leader Community News recently undertook an ambitious project to ask every Year 12 School Captain in Melbourne to tell them how they can make a difference to the community in the future. “Our generation is viewed by others to have an unhealthy obsession with social media and technological devices. These ‘obsessions’, however, can be the very things that help us make a brighter future. We have caused social media platforms to explode in recent years. Increased use of social media has lead to increased awareness on issues such as gender equality, LGBTIQ+ rights and racial equality. Our use of these platforms, liking and sharing these stories, is key in promoting worthwhile causes by helping people fundraise for organisations such as Neale Daniher’s ‘Fight MND’, or encouraging people to shave their heads for research to battle leukaemia and alopecia. Although previous generations have fostered conditions of equality for all, our’s will be the one with the best chance of eradicating discrimination through empathy towards others and will to fight for what’s right. Social media platforms allow us, and larger communities, to communicate and join together in an effort to instigate change, as seen through movements like #MeToo and ‘Black Lives Matter’. Congratulations to Laura and Demitri who are very articulate leaders of the future and great ambassadors for our learning community. 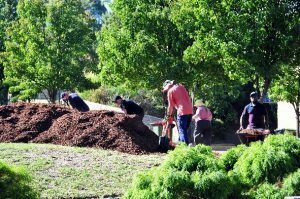 Thank you to all the parents, students and staff who attended the Term 1 working bee on Sunday 24 March at the Senior Campus. 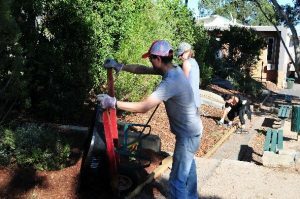 A lot of great work was achieved including mulching and weeding of our garden beds. 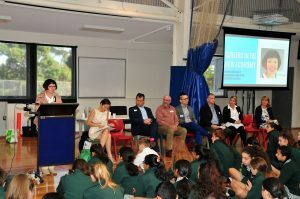 I enjoyed meeting many parents and students who attended the conferences on Thursday 28 March. 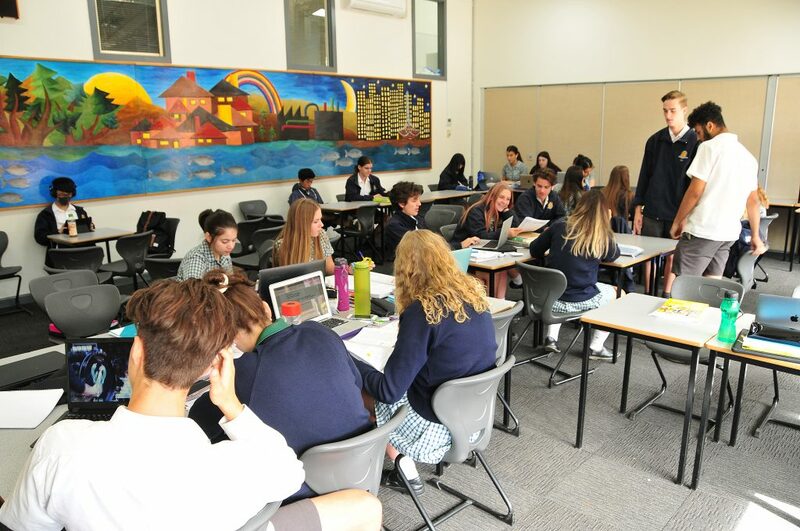 Such large numbers clearly demonstrate that Mount Waverley Secondary College parents and students value the learning opportunities on offer and enthusiastically seek teacher support to reflect on their progress, with the aim of continually improving to achieve excellence in learning outcomes. 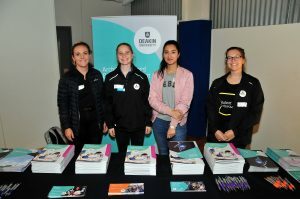 After talking to many parents, students and teachers, it is clear that the college is going from strength to strength and continues to strive to meet each student’s individual learning needs. 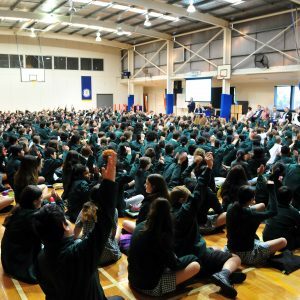 Winter uniform starts in Term 2, although for the first two weeks of term there is a change over period where the students can wear either summer or winter uniform. A reminder that the college tie is required to be worn with the winter uniform for all students. 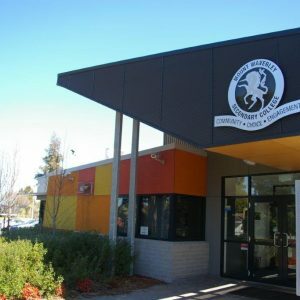 Please ensure that your students have the correct college uniform which is only supplied by PSW located at 290 Stephensons Road Mount Waverley. Students will be dismissed at 2.30pm on Friday 5 April and we look forward to their return for Term 2 on Tuesday 23 April. 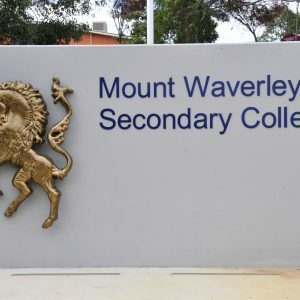 First term 2019 has been an exciting time for teaching and learning at Mount Waverley Secondary College. I hope everyone enjoys some family time over the holidays and I encourage all senior students to ensure a balance between study and relaxation. Develop a study timetable and stick to it, it will be worth it. Have a safe and relaxing holiday. Preparations are well underway for this important annual event. Our Faculty Leaders are working with their teams of teachers to plan displays for the night. The Junior Campus will be open from 4.00pm to 7.30pm allowing prospective families to engage with teachers, students and get a greater understanding of our fantastic college community. School tours of both campuses will be offered throughout the day for interested parents. Please see the college website for further details. In order to enable us to prepare for this event, School Council have approved that all Year 7 and 8 students will be dismissed at the beginning of lunchtime on this day. Thank you to Mrs Narda McLennan for her efforts in organising materials and promoting this great event, and to all of our Faculty Heads and other staff involved in setting up and running displays on the night. 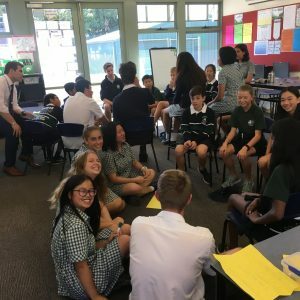 Planning has been undertaken to again run this fantastic student voice initiative at the Junior Campus commencing in Term Two. 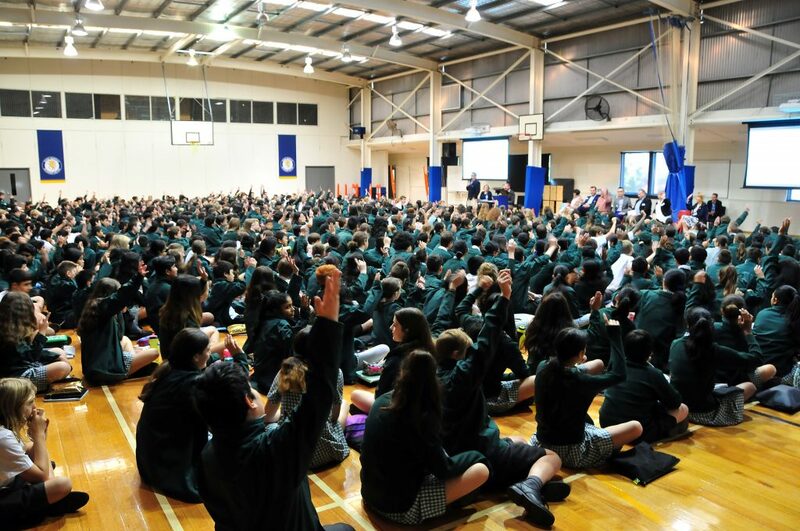 All students in Years 7 and 8 have the opportunity to be involved with representatives from each home group. 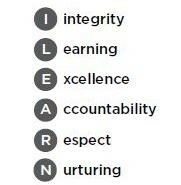 Each Friday fortnight, the Year 7 or Year 8 Mount Matters team will meet where they will discuss and plan how we can further develop and improve our great college. This includes providing positive feedback on what they are finding is working well. 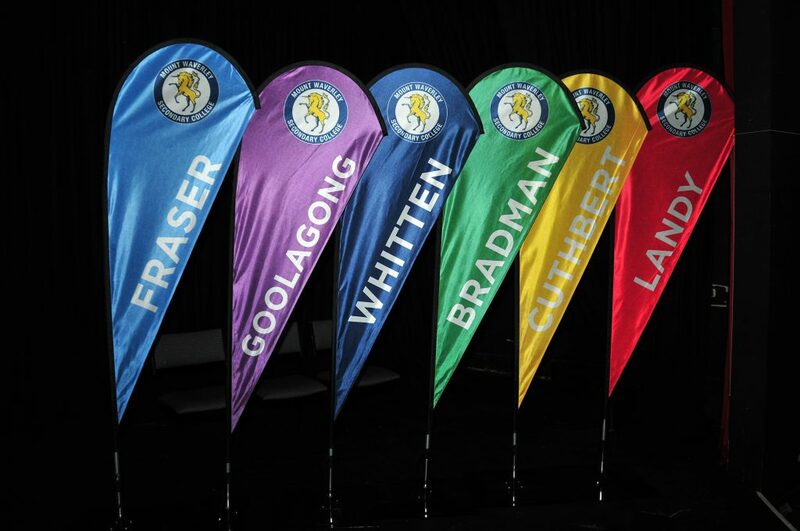 Some of our Senior Student Leaders will be involved in leading this work with our Year 7 and 8 students, and we look forward to these sessions which culminate in a whole college Mount Matters Forum at the end of Term 2. Thank you to Miss Hayley Dureau and Mr John Simon for their efforts in providing this opportunity for our students. We are excited to be welcoming a visit from some staff and students from The Second Affiliated Middle School of Huadong Normal University between Monday 29 July to Friday 9 August this year. This visit is for them to learn more about our college and to experience education and our culture. Part of this visit provides us with the opportunity to host these visitors during their stay. 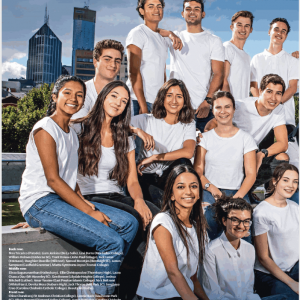 We are asking for expressions of interest to host these thirteen students. Thank you to those families who have already indicated they would like to be involved. Please email me: bat@mwsc.vic.edu.au if you would like to be part of this cultural experience with a planned return visit for a group of students and staff to Shanghai in 2020. Year 7 students completed the Coordinated Practice Test for NAPLAN Online last week. 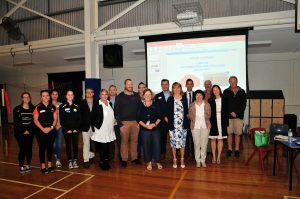 With the new online platform, this was an important trial for the school and our students and it was great to see that it went smoothly. A reminder that a letter has been sent home with students regarding NAPLAN Online. The tests will occur from 14 – 18 May for Year 7 students. Students will require headphones and fully charged iPads on each of the testing days. For further familiarisation with the new platform, there are some short sample tests accessible on the Public Demonstration Site: https://www.nap.edu.au/online-assessment/public-demonstration-site. Our Student Leadership Team have been meeting weekly to discuss Junior Campus matters and to plan events. 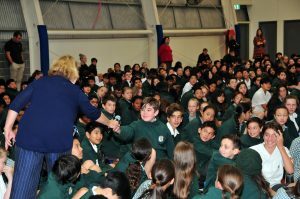 This term, our House Captains ran a great tug-of-war competition on our Casual Clothes Day (22 March) and our student leaders have had a role in running tours for prospective parents throughout the term. Thank you to Ms Sarah Smith and Ms Hayley Dureau for their support and leadership of this team. A reminder that the College does not endorse the scheduling of absences during the school day and school term, including family holidays, where these may be arranged for out-of-school periods. If you know your child will be away for three or more days, please notify the college in writing well in advance so your child can complete an Absence Learning Plan before departure. 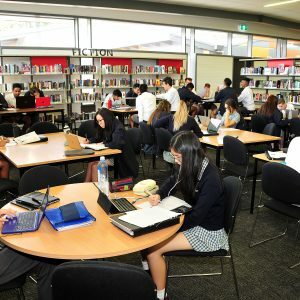 Well done to our Junior Campus students for completing a successful and productive first term of 2019, and thank you to all families for your ongoing support. We hope you have an enjoyable and safe holiday and look forward to seeing students back at school on Tuesday 23 April for Term 2. This week at our end of term year level assemblies we had the opportunity to gather as a college community and celebrate a number of students who consistently demonstrate our college values. Students were nominated throughout the term by their teachers for consistently demonstrating the college values on a regular basis. A special thank you to the Middle School team for supporting our students throughout term. I would like to wish all students and their families a restful and safe holiday break. Thank you to all of the staff, students and parents who attended the parent teacher conferences. It provided an opportunity for parents and carers to meet with teachers to discuss their child’s progress. If you were not able to see a teacher or have further matters you would like to discuss please email the teacher if it is subject specific or if it is more general concern then contact the year level co-ordinator in the relevant subschool. Feedback has been positive and we thank everyone for being involved in this important event. On Wednesday morning we farewelled our staff and students at the start of their exciting 8 day trip to Central Australia. At the end of term they were in Coober Pedy and then headed to Uluru. I know that it will be an amazing trip for all concerned. Thanks to the staff; Claire McCormack, Kaye Gibson, Anthony Borya, Chris Beale and Narda McLennan for looking after the students and for giving up some of their term break. A group of students from Years 9 and 10 and 2 teachers will be heading to Orlando, Florida and NASA as part of this exciting trip. The college is pleased to offer this and we hope it will continue in the future. I wish all families of the college a safe and restful break. The Year 11 leadership team has now been selected and is well and truly up and running! We had a large amount of applications and would like to take the opportunity to thank all of those people that did apply. Mount Matters representatives have also been selected for each mentor group who will meet on Monday mornings on a fortnightly basis, starting April 1st. We are really looking forward to working with the leaders, representatives and the cohort as a whole throughout the year. 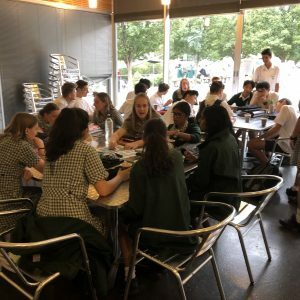 “In the final two weeks of term, we have been undertaking a short yoga course focusing on our mental health and well-being as we near the completion of our first term of Year 12. The sessions comprised of a short physical workout in groups before going into some breathing exercises and mindfulness of how we’re feeling, and what we can do to stay positive to take care of our own mental health. Mount Matters sessions have begun at the Senior Campus, and the first Junior Campus Mount Matters sessions for the year will run at the beginning of Term 2. 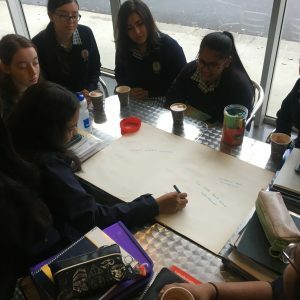 Mount Matters is a student-led program through which Student Leaders facilitate fortnightly morning focus-group sessions with students in their cohort. At the end of Terms 2 and 3 a Mount Matters Forum is held, at which each of the teams to present a summary of their ideas, discussions and insights to staff, and student leaders and Mount Matters representatives from across the college. 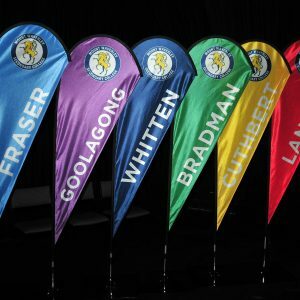 Over the last few weeks each Home Group from Years 7, 8 and 9, and each Mentor Group from Years 10 and 11, has been asked to nominate two Mount Matters (MM) representatives. Thank you very much to all of the Home Group and Mentor Group teachers across the college, and the sub-school teams, who have supported this process. 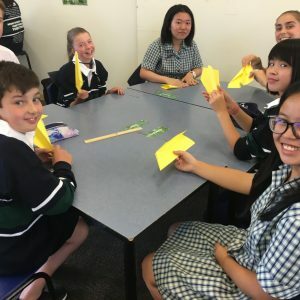 On Wednesday 27 March we had our first Mini Mount Matters session with the Grade 6 Leadership Team at Mount Waverley North Primary School. 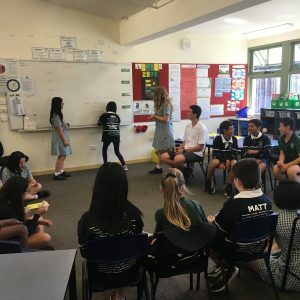 A group of Year 11 and 12 student leaders visited Mount Waverley North Primary School and worked with the Grade 6 leaders to plan for Mini Mount Matters sessions during Term 2. 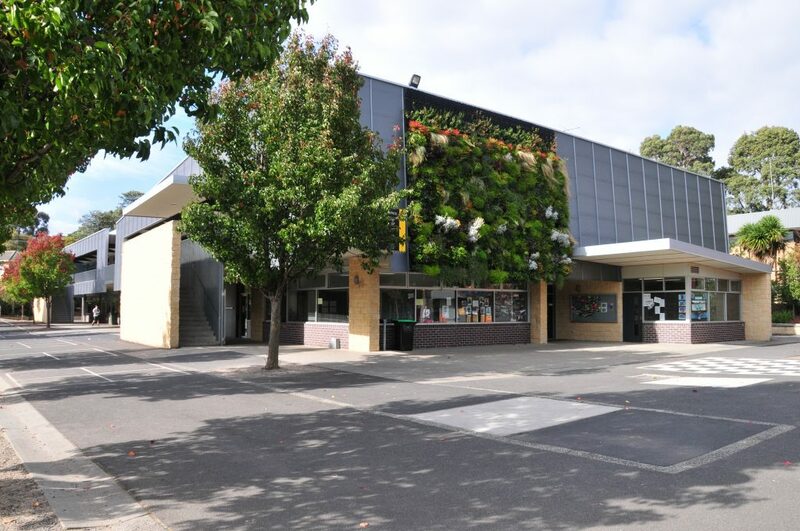 The Grade 3, 4, 5 and 6 classes at Mount Waverley North Primary School will nominate two Mount Matters representatives, and our senior students will visit Mount Waverley North Primary School on a Wednesday afternoon to support the Grade 6 leaders in running their sessions. 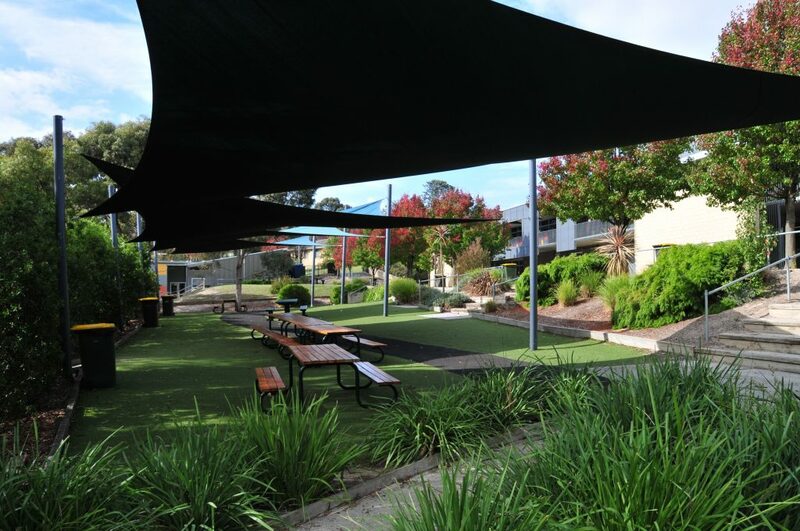 Eight Year 9 students will soon depart for the School for Student Leadership Snowy River Campus! 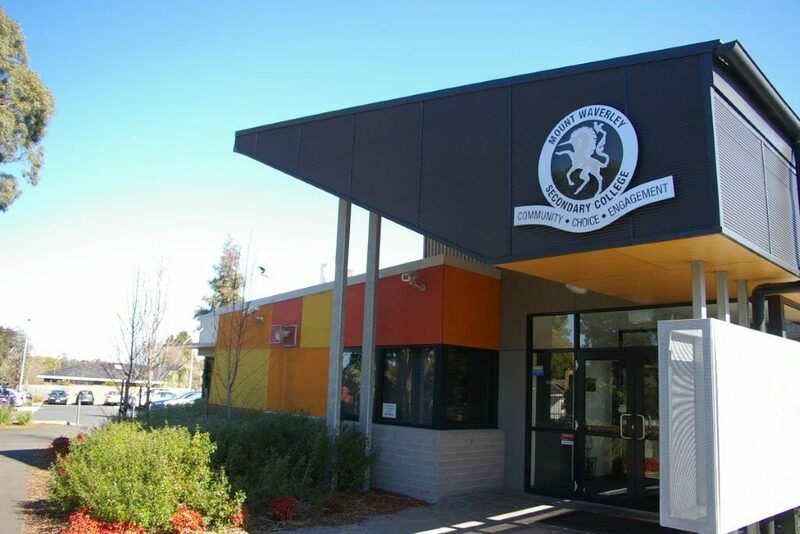 Megan, Anna, Kye Li, Suhani, Aidan, Ashton, Kevin and Saihaj will spend ten weeks at the Snowy River Campus. They arrive on Sunday 28 April, and return home on 29 June. 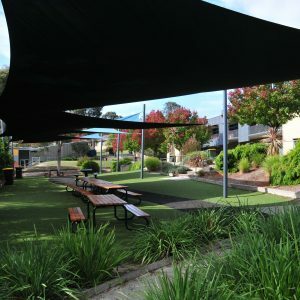 While at the Snowy River Campus the students will work on a Community Learning Project, and take part in a range of personal and leadership development activities. We congratulate them for being selected for this amazing program, and can’t wait to hear all about their adventures when they return! 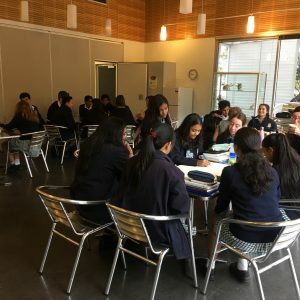 Year 11 students Thomas, Riyah, Devnith, Jordan, Buddhinie, Sandali, Shenara and Aayusha will compete in the Model United Nations Assembly (MUNA) in May. MUNA is a program for Year 11 students and is part of Rotary District 9810’s commitment to Youth Development. This year MUNA will run on the weekend of Saturday 4 May and Sunday 5 May 2019 at Parliament House, Melbourne. Participating in MUNA is a great way to develop skills in leadership, debating, public speaking and research. Students compete in teams of two, and represent a country from the UN. 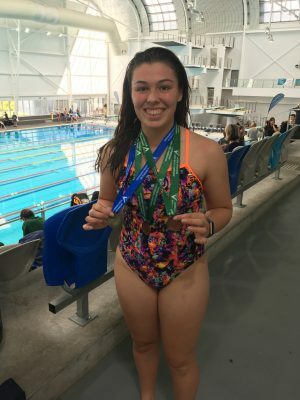 Thank you to The Rotary Club of Mount Waverley, who are sponsoring one of our MWSC teams, and have found other Rotary Clubs to sponsor our other three teams. 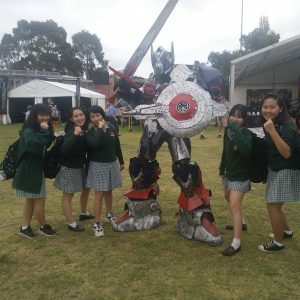 Our Year 12 Leadership Team oversaw the Term 1 casual clothes day on Friday 22 March. As a college we raised $2237.50 for World Vision. Thank you to all students who dressed in their House colours and donated money on the day. How much screen time should I allow my child to have? or How do I stop my child from being online as much as they are? These are questions parents are often asking us and although we don’t want children and young people glued to their devices as it can impact on their social skills, sleep and motivation; there is not a simple answer. We do of course encourage clear boundaries around online use and devices such as no devices in the bedroom at night when your child is trying to sleep and we encourage parents to monitor their child’s use as not all children are mature enough to handle all content or interactions online. Not all online activity is negative!! 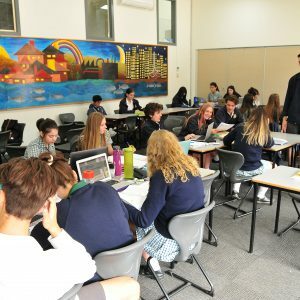 We are encouraging students every day to be online and it can be a great way to source information and connect with their peers, however as the below article by Martine Oglethorpe ~ accredited speaker from the Office of the E-safety Commissioner questions “Is your child’s online experiences hindering or helping their overall wellbeing”. This is an issue that will never go away and each generation of young people are more and more connected to devices and being online, so we have to find ways to integrate it safely into their lives. 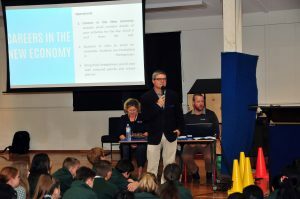 Careers in the New Economy program ran on Tuesday 2 April. 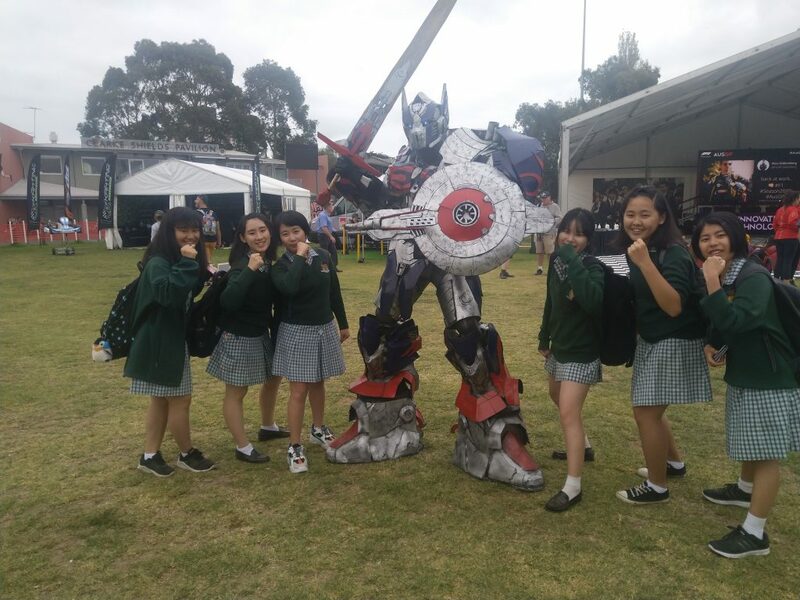 The program exposed all year 7 and 8 students to a variety of new technology skills and knowledge. 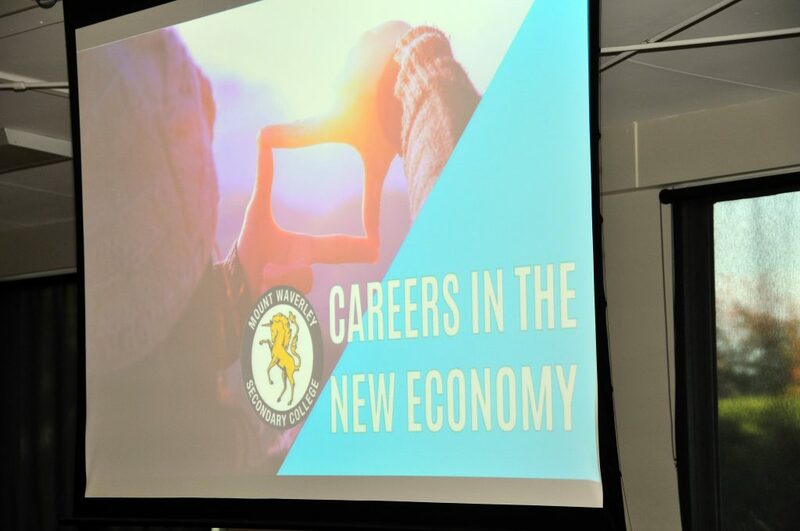 All students attended a seminar in the morning, it focused on career skills the new economy jobs, cyber security jobs were a heavy focus of the seminar. 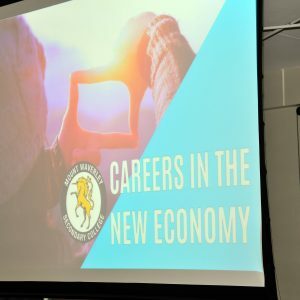 Students heard from a variety of speakers, in a variety of new economy jobs. For the remainder of the day students participated in careers exploration activities and worked their way through web-based modules to increase their understanding of new economy careers and potential opportunities. Thanks must go to Life Journey for assisting in the facilitation of our event, our panel members and keynote speaker Ms Jacyl Shaw who was really able to make a connection with our students. 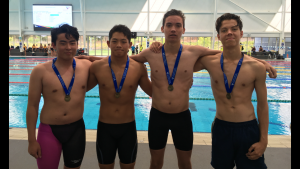 On Tuesday 26 March, thirty-three students across both campuses took part in the Eastern Metropolitan Region swimming competition at Aquanation, Ringwood. A fantastic effort by our students culminated in nine students making it through to the State Finals! 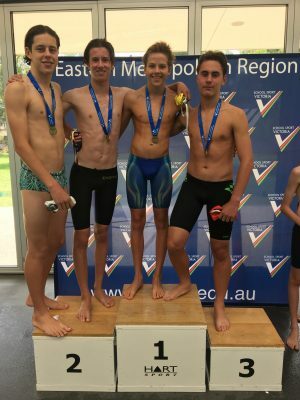 Congratulations to all students and let’s wish the below students the best of luck as they take on the state on Wednesday 24 April at Melbourne Sports & Aquatic Centre. This is what’s happening in our Resource Centres.. The Victorian Premiers Reading Challenge is off to a flying start. We have 100 students registered and 165 books already read. Students can register any time at the library on either campus. 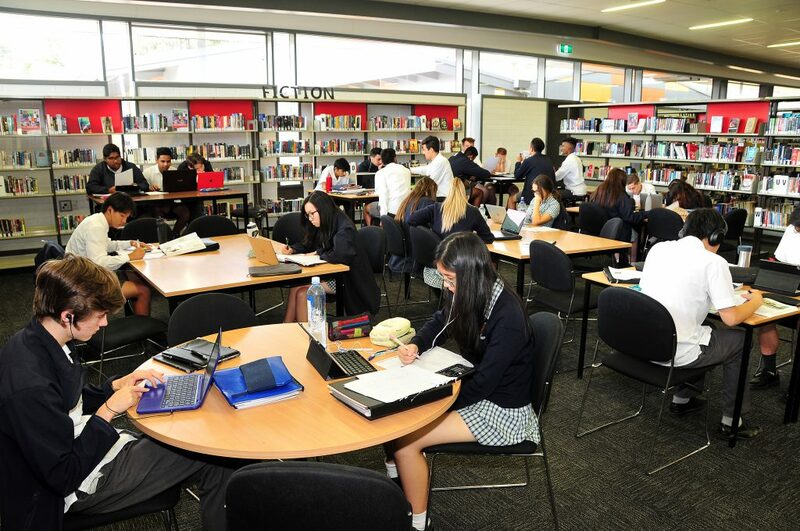 The libraries at Mount Waverley Secondary College have many of the titles listed and have ordered the rest. We hope you can support your children to read for pleasure, the benefits are profound! 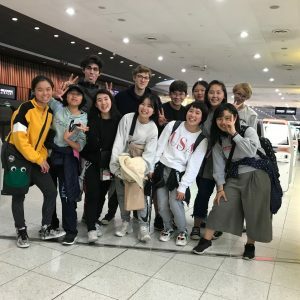 On Tuesday 2 April, we said goodbye to our 6 exchange students from our sister school in Osaka. As usual, it was a tearful goodbye at the airport. Thank you to all who supported the students (and put up with many disruptions! ); they often spoke about the kindness and generosity of their Australian teachers, friends and family. 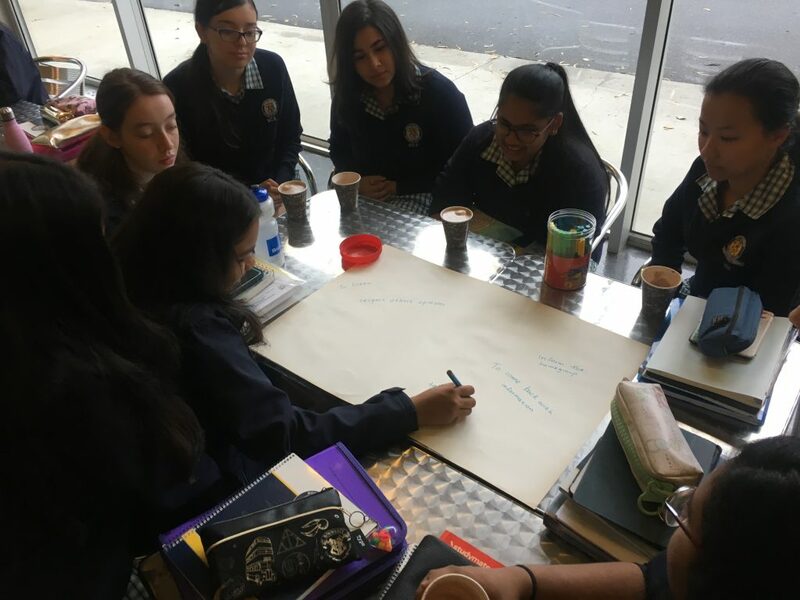 Other than the incredible language benefits, these values and cultural experiences are especially significant for both our visiting and current students. We were able to join the Year 10 camp from January 31st to February 1st. The camp was held at Federation University in Ballarat, and we went by bus. It was a long drive, so I got a little bit tired from sitting on the bus. We ate hotdogs for lunch on the first day of the camp. Myself and the other exchange students were surprised that some people ate three hotdogs! Our first activity was ‘Underwater Aerobics’. We did various exercises and it was a lot of fun. But it was interrupted because the sound of the fire alarm rang in the middle of it. We got a bit worried but it was all fine as it seemed that someone set the alarm off by mistake. After a quick tea break, we did the second activity: making a ‘pasta tower ’. We tried to do our best, but my group’s tower collapsed. We were able to choose what to eat for the dinner, so I chose the chicken option. It was very delicious!! I would love to eat it again. After dinner, we had a disco. It was the first time for me to join in on a disco at school, so it was really new for us. On the second day, we attended lectures given by teachers and ate hamburgers for lunch. When we were heading home, the bus was delayed for over an hour! It was really hot inside the bus. Overall, it was a really good experience for me and I’d love to visit again. We went to Sorrento for the Geography Excursion on the 7th of March. On the day, it was really cold and it rained, but we still got to see beautiful scenery. We made a sketch of the sea, which was a bit hard to do in the wind, but we did our best. In Japan, we never get to make sketches, so it was a new experience for us, I really enjoyed it. After this, we went sightseeing and did some shopping. I was able to look at many shops, talk with my teachers and some students to practice English. The program was a lot of fun because we were able to see many beautiful places. The excursion will definitely be a good memory for us! 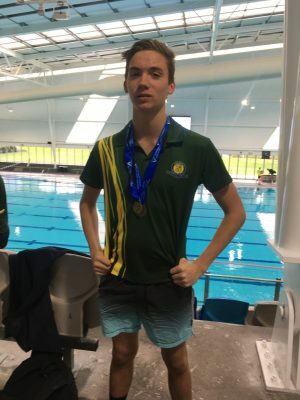 On Friday the 15th of March, we went to the 2019 Australian Grand Prix by train. To be honest, I’m not that interested in cars, so I thought it would be a boring excursion at first. But it ended up being an amazing day because there were so many things to see there! We saw not only cars, but other stuff like robots and gadgets. We also ate a lot of delicious food. Of course, we watched car races too. It was actually my first time to see one. All of the teachers were so kind to us, so I could really enjoy the day. I have really changed my mind about the Grand Prix and would love to go again. I want to tell you about my host family. There are seven of them, and they are always laughing and expressive. Whenever I wake up, they are always together in the living room, so it was a really nice family feeling. On weekdays, they go to bed and wake up early. We make our own lunches, so I often ate sandwiches and lots of Australian snacks. After school, I walk home, and when I get there my host brother or sisters welcome me everyday, so I’ve never felt lonely. Usually when I get home, I eat snacks with my host family, play games, read books and talk together. It’s like a party every night! They really get along well with each other. We often eat pasta for dinner, always topping it with lots of cheese. I think they really, really like cheese. After dinner, we play card games (UNO) every night, but my host student doesn’t play with us. He is always busy because he has lots of homework, and likes to play PC games and call his friends. I want to play “UNO” with him someday. However, I know that he is very kind as the oldest brother! He always helps me and teaches me English. My host family were always amusing, and always made me laugh. I had never seen a wonderful family like them before. I felt happy whenever I was together with them, so I really appreciate all of their kindness. I like them so much, I will miss them a lot. 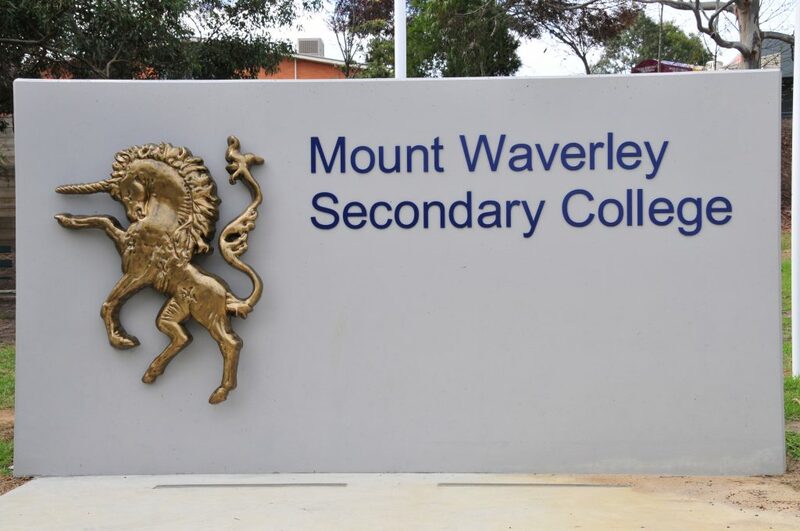 I want to talk to you about my exchange experience at Mount Waverley. To be honest, it was not all fun. 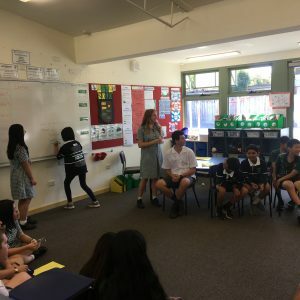 I wasn’t good at speaking and ‘reacting’ the same way that the Mount Waverley students and my host family react, so I didn’t know how to express myself all that well in the beginning. But I felt a little changes in me because of my host family. They listened to me when I was in trouble and always asked me about school and how I was going. Once they told to me it’s okay to not be perfect and that made me feel really relieved. I want to learn a lot and enjoy the rest of my time here. I want to thank everyone at the school, and can’t wait to see everyone again in July! This exchange program was more fun than I expected. At first, I wasn’t able to speak much, so I was worried about whether I would go well while studying abroad. However many people helped me out, so my English skills have improved! I was a little scared to speak English, but now I can speak it freely without feeling shy about my abilities. My host family taught me a lot about Australian history. My host family also took me to many places such as Sorrento, Healesville Sanctuary and Mt Dandenong. I enjoyed all the places I went to and I’m very appreciative of my host family for taking care of me so well. 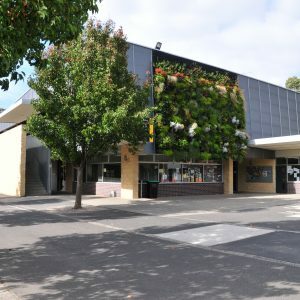 I want to thank everyone at Mount Waverley for talking to me! These three months have passed very fast, and I was able to achieve my goals I had set for myself at the start of the program. 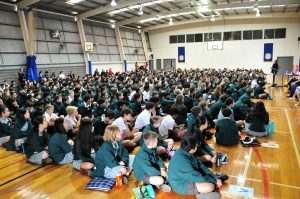 I would love to come to Australia and our sister school again if given the chance. Thank you all, once again!